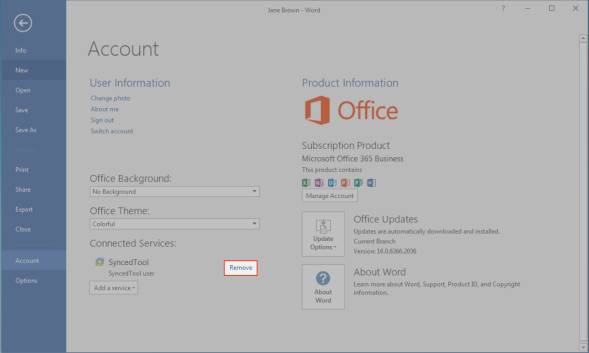 In this way, you can personalize your Microsoft Office experience by accessing your supported Anchor cloud content from all of your registered machines. Note: This feature is fully supported by Microsoft for Microsoft Office version 2013; however there are known issues with Microsoft Office version 2016 and higher. As a result of limited support by Microsoft for this integration, we are focused on further developing into the Cloud Storage Partner Program to integrate directly with Microsoft Office 365 apps (where Microsoft is focusing their development and support efforts). 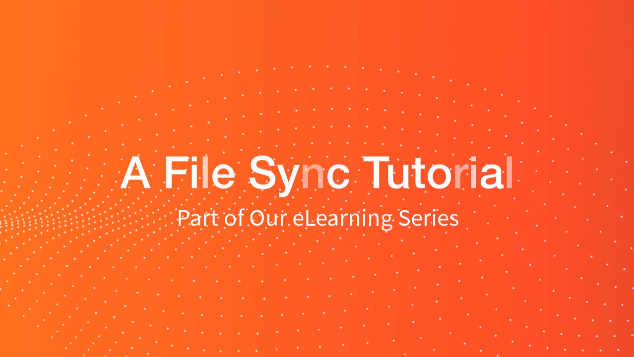 Before you can begin using this feature, you must add the desktop client's Synced Folder as a storage location in your Microsoft Office local applications. 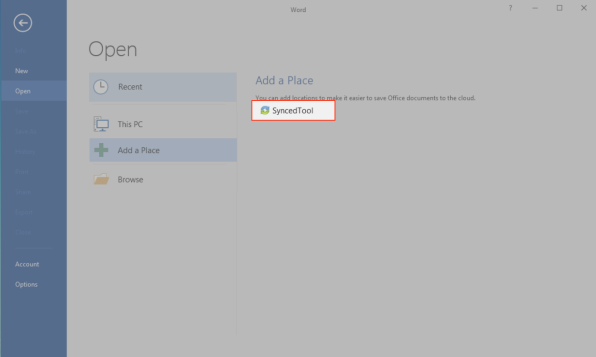 Open a Microsoft Office application on your local machine and click the Open Other Documents link. 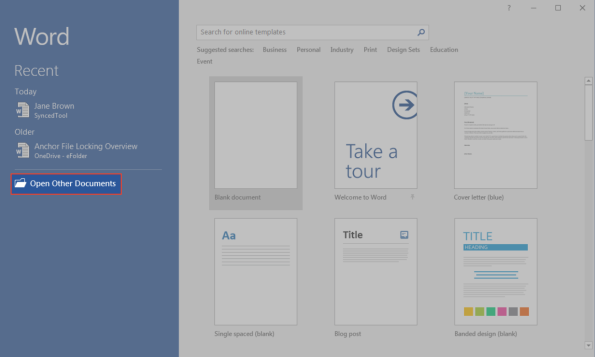 The Open section of the Microsoft Office backstage area displays, prompting you to open a file. In the backstage area, click Add a Place. A list of available storage locations will display on the right-hand side of the backstage area. Select the desktop client from the list of available storage locations, which will be branded according to your organization’s settings. 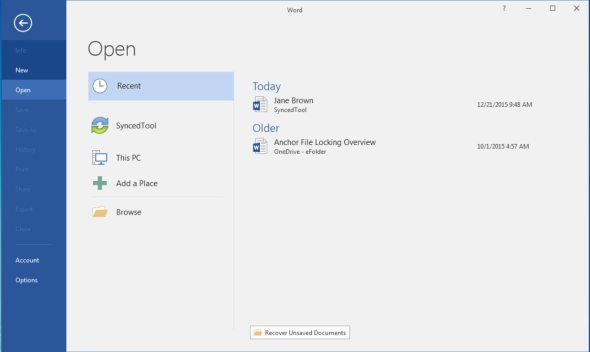 You can now open files, edit files, and save new files to Synced Folder directly from your Microsoft Office application. If you have Microsoft Office installed on more than one computer, but you have not yet installed the desktop client on each machine, Microsoft Office will prompt you to install the desktop client. 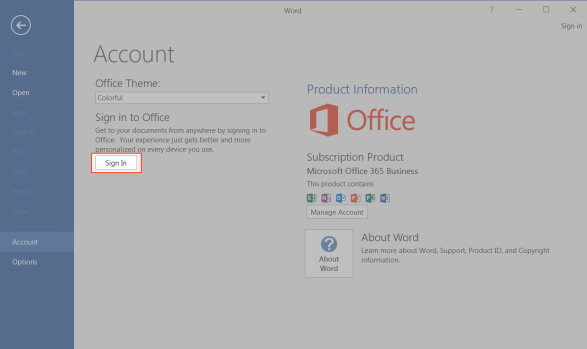 Open a Microsoft Office application on your local machine and click the Account link. The Account section of the backstage area displays, allowing you to manage your account information. If you have not already signed in to your Microsoft or Microsoft Office 365 account, click the Sign In button. When you are signed in, you will see a warning message if you do not have the desktop client service installed. Click the Repair button. A browser window will open, prompting you to download and install the desktop client. 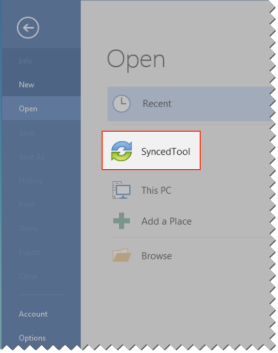 When the desktop client is installed, you can access your Synced Folder content from within your local Microsoft Office applications. 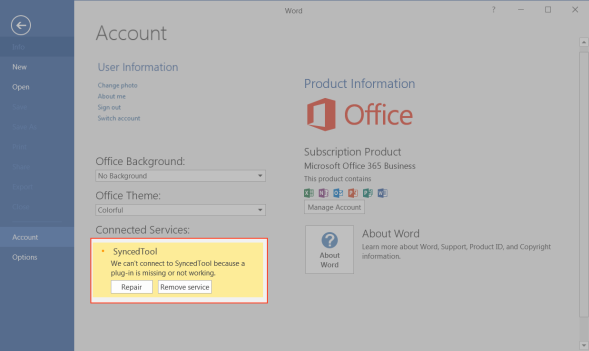 Open a Microsoft Office application on your local machine and click the Account link. The Account section of the backstage area displays, prompting you to manage your user information. In the backstage area, find the storage location, and click the Remove link. A dialog box displays, prompting you to confirm your selection. Click Yes to confirm your selection. The desktop client's Synced Folder will be removed as a storage location.